The divine science of life, Yoga, revealed to the Adi Yogi and enlightened sages of Ancient India in meditation thousands of years ago. Stone seals found in Indus Valley which date back to around 3000 B.C. show yogic postures thus forming the earliest archaeological evidence of Yoga’s origin. The yogic postures resemble Lord Shiva and Parvathi performing various Aasanaas (postures) as well as practicing meditation. Yoga is also mentioned in Vedas, 5000 year old ancient scriptures of Hinduism. The great saints of India, the Rishis, Maharishis were some of the daily practitioners of yoga. The Upanishads and Puranas provide the main foundation of yoga. Yoga in Sanskrit means “Yog” or to “unite” and indicates the total integration of the individual soul with the supreme or divine to obtain relief from pain and suffering. Maharishi Charaka or “Father of Ayurveda or Indian Medicine” wrote that yoga is the means of salvation “Moksha” which is the end of all miseries (Vedana). Yoga is an ancient form of physical movement that has its roots in Indian Culture and philosophy. 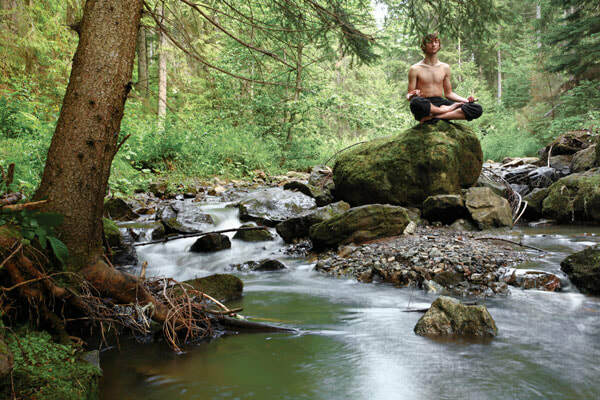 · Creates sense of well-being and calm. 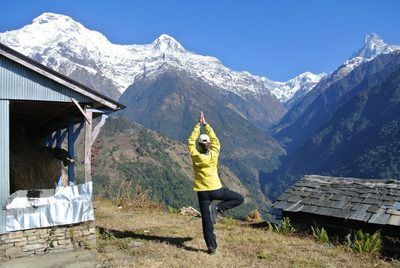 We believe that introducing yoga into your trekking experience allows for a richer appreciation of the inner and outer landscapes. Meditation and Yoga along with daily stretching and trekking in breath-taking landscapes and spectacular scenery creates a far more fulfilling adventure that opens the mind for a greater relaxation and deeper awareness provided within the natural environment provided by the Himalayas. 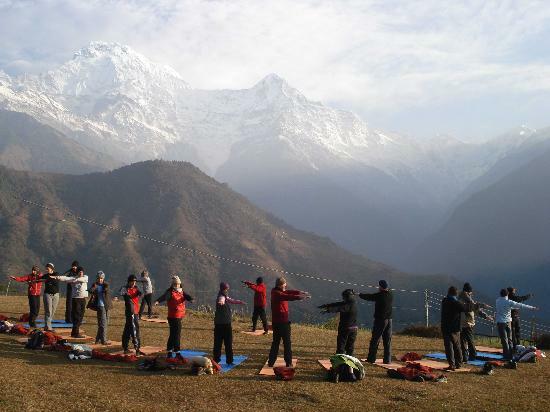 Yoga treks are open for all experience levels and all ages and is a unique opportunity for those interested in strengthening their body, mind and nourishing their soul. It’s a unique experience as you practice mediation and yoga under expert guidance of a teacher in beautiful and natural Himalayan Enviornment. 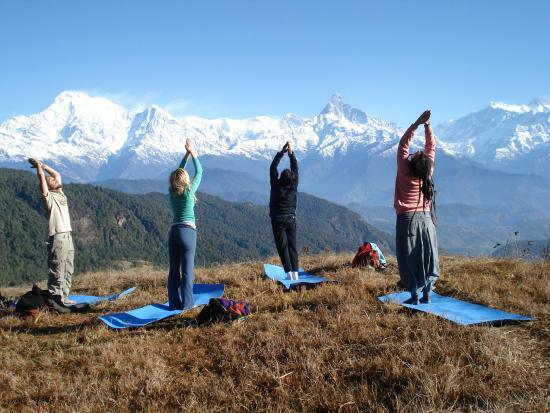 You will walk in the foothills of Himalayas and camp at beautiful locations. 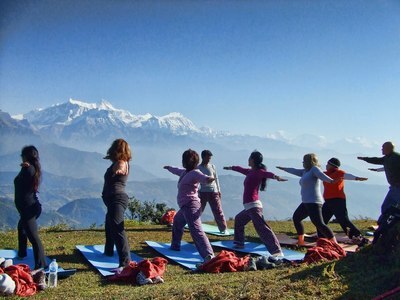 After much experimentation and exploration we have discovered a winning formular to integrate trekking with yoga. 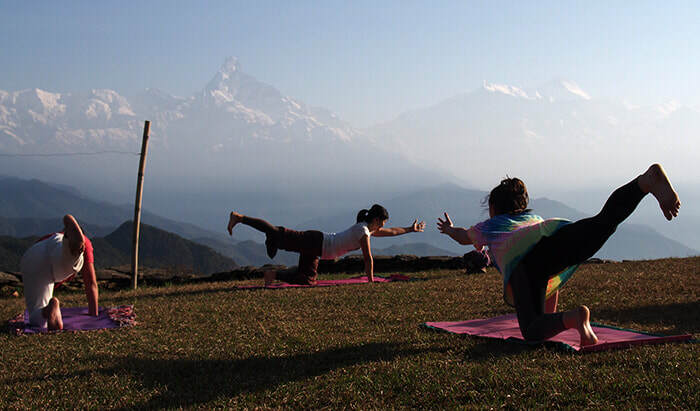 We provide a gentle trekking schedule, healthy vegetarian food, stretching exercises for tired muscles, pranayama exercises to ease breathing and time to relax, reflect and enjoy the location. The day starts with a short meditation and a gentle yoga session to awaken you the beauty that surrounds you and connects your senses with nature. We take time to stretch during the day to prevent muscle pain. 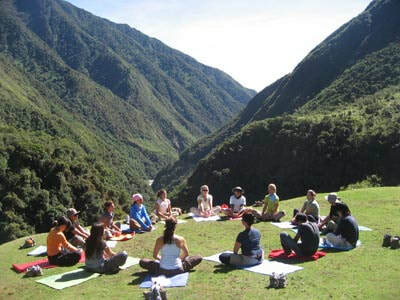 We will halt and make stop overs during the trail to admire the beautiful surroundings and meditate on the sound of flowing river or simply get into a spiritual trance while gazing the magnificent yet beautiful mountain and pristine lake. 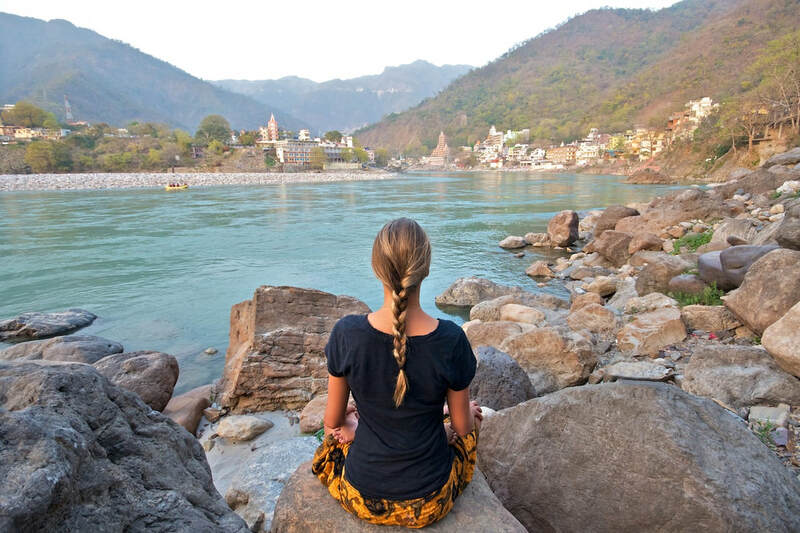 In afternoons we will practice yoga nindra- or guided relaxation which allows us to integrate the day’s experiences and is deeply rejuvenating. 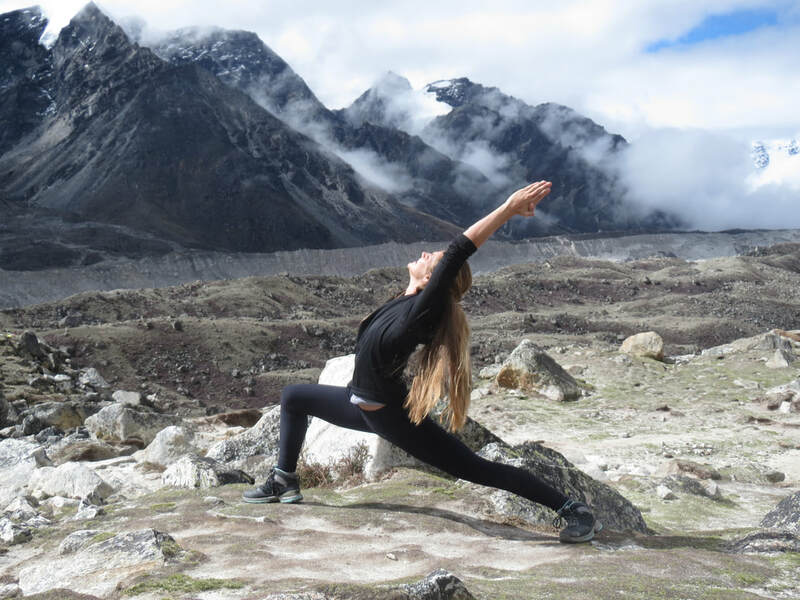 The combination of yoga, trekking and mindfulness is the sure shot way to connect with your inner-self and help you discover the balance and inner harmony which you were looking to find in the natural setting of Himalayas. 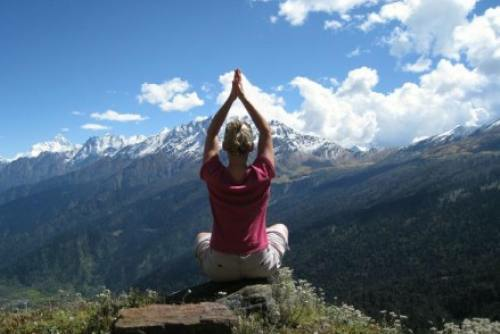 We offer yoga treks in the regions of Dharamshala, Manali, Bir-Billing, Barot Valley, Kullu and Lahaul Spiti. Please contact us for more details on yoga treks.